Progressive jackpot games have long been player favourites, keeping gamers hooked on the possibility of gigantic wins as the jackpot increases by the minute. When it comes to progressive jackpot online casino games, we’re not talking about a couple of bucks here, this is serious business – think jackpots well into five figure sums. Progressive jackpot online pokies in particular have created many instant millionaires over the past few years. Progressive games typically start off with a minimum win that’s already quite lucrative and then expand to epic proportions the more the game is played to offer some of the best chances to win big in a game of luck. Progressive online keno is slowly on the rise and the future looks promising. While progressive jackpot keno games are popular in bricks and mortar gambling venues, it’s difficult to find these games online, which may be due to the fact progressives actually work against the house. Keno is purely a game of luck and there’s nothing players can do to alter the outcome, however progressive keno games technically increase your odds of a win. As progressive jackpots grow in keno, it means the house edge is lowered, sometimes dramatically. If you’re playing a progressive online keno game, keep an eye on the jackpot. As that figure grows the house edge diminishes, giving you a greater chance to be successful in keno. Leading online gaming developer Net Entertainment have a fantastic progressive jackpot keno game available, Bonus Keno. Bonus Keno can be played at the highly reputable Guts Casino for free play in practice mode or real money AUD bets. The jackpot rises every time someone plays this game, continuing to rise until the jackpot is taken. 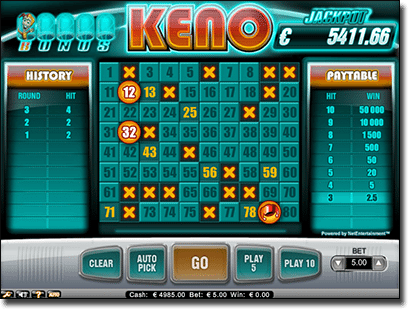 The current jackpot amount can be found on the Bonus Keno icon in Guts’ game catalogue or in the top right hand corner of the screen upon opening the game. 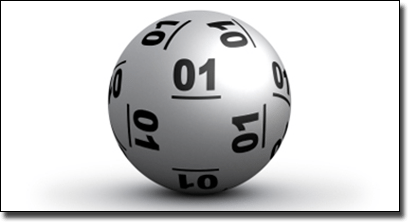 The jackpot is activated when a number is drawn which reveals the jackpot (J) symbol, of which there are 10 available. When landing on a jackpot symbol, the amount you win will depend on how much you bet. The maximum bet of $5 needs to be made in order to be eligible for the full 100% jackpot. These can be found in most states across Australia at land based casinos or betting venues like pubs and TAB’s. Some real life keno progressives are extremely tempting, like the ACTTAB keno which comes with a progressive jackpot starting at $1 million for landing 10 winning keno numbers. The popularity of online keno has only began to soar in recent years, initially trumped by the popularity of other games like slots, poker, blackjack and roulette. As online gamers are turning more and more to Internet keno, gaming providers are keeping up with the demand and continuing to add more keno games to their repertoires, including live dealer keno. As the demand continues to grow, we would expect many more progressive keno titles will become available in the near future. While keno can be found at casinos, betting outlets, pubs and newsagencies around Australia, playing online keno opens up a whole new world of possibilities. Players can enjoy the convenience of playing keno whenever and wherever they like, controlling the speed of the game and having power over the style of gameplay. Virtual keno allows for a lot more player control, where you can choose to play one number at a time for minimum bets as low as a few cents, to tonnes of numbers at once for high roller wagers. While offline keno games are played every few minutes, playing online is even quicker, with players given the option of controlling the speed of the draw. Head to Guts Casino to try NetEnt’s popular progressive Bonus Keno and win massive prizes, all with safe and secure payments in Australian dollars.